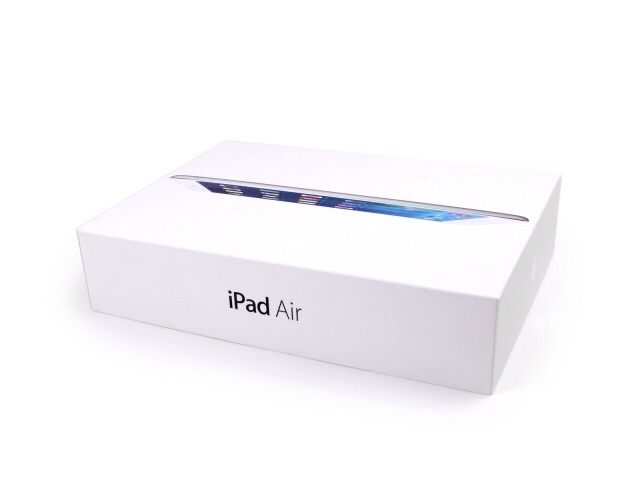 ● This iPad Air can be identified by the model number A1475. 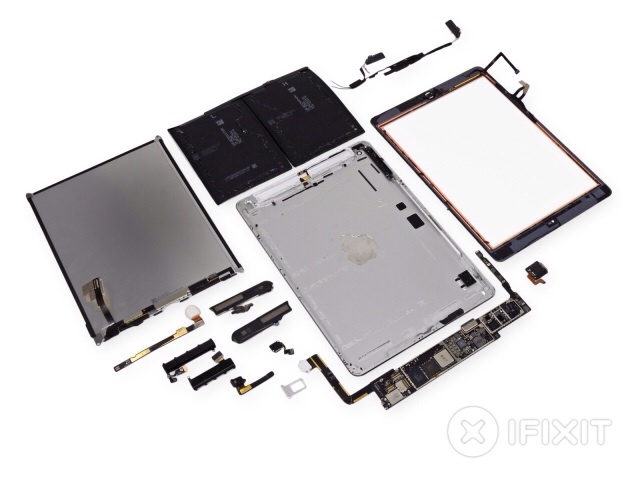 ● The LCD is easy to remove once the front panel is taken off the iPad. 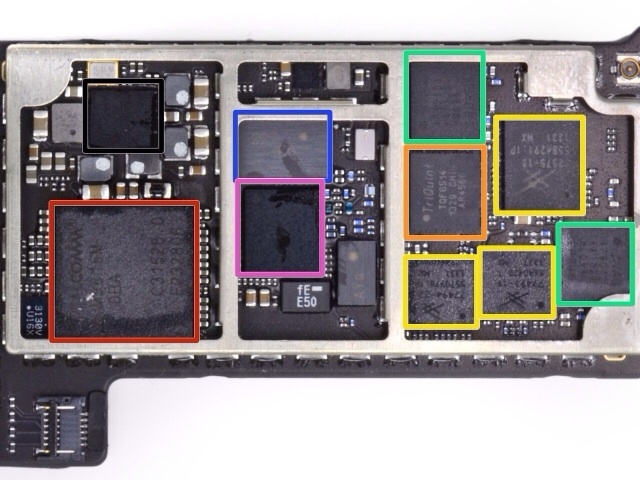 ● The battery is not soldered to the logic board. We'll give it that. 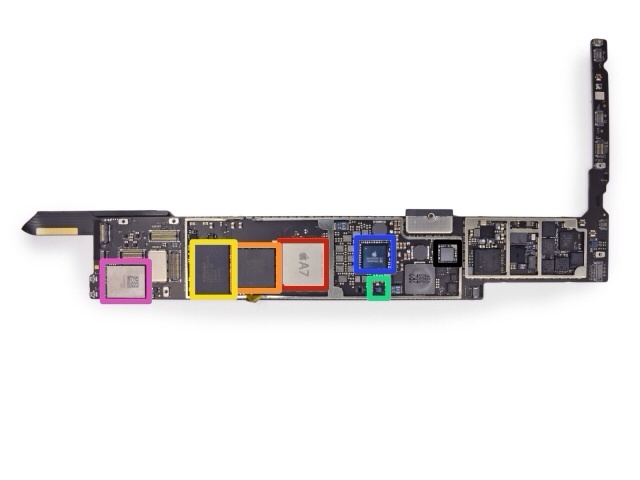 ● Just like in previous iPads, the front panel is glued to the rest of the device, greatly increasing the chances of cracking the glass during a repair. ● Gobs, gobs, and goblins of adhesive hold everything in place. 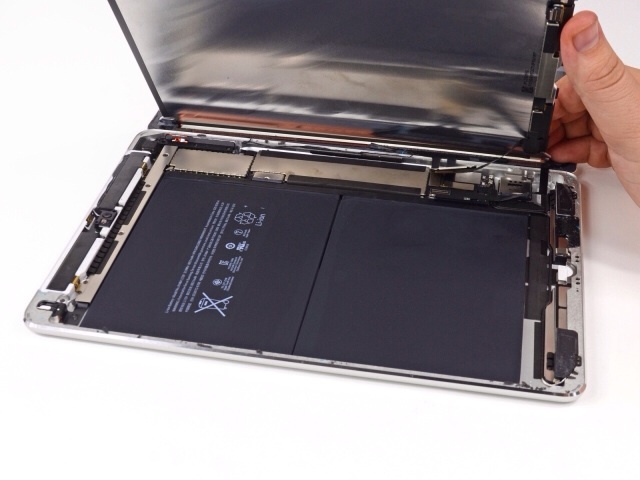 This is the most difficult battery removal procedure we've seen in an iPad. ● The LCD has foam sticky tape adhering it to the front panel, increasing chances of it being shattered during disassembly. ● You can't access the front panel's connector until you remove the LCD. You can check out a few photos below or hit the link for the full teardown.